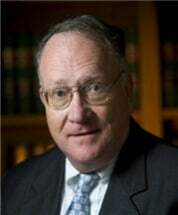 Tommy W. Jarrett is a highly experienced trial attorney who is a former President of the NC State Bar. He represents clients in the formation of business entities and in complex business transactions and litigation. He has represented many businesses in protracted business tort litigation and complicated claims. He has been in practice for more than 30 years, and in recognition of his contribution to the practice of law in this state, his fellow attorneys have elected him to the North Carolina Bar Association, General Practice, Hall of Fame.